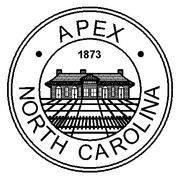 Homeowners in the Town of Apex call on Unlimited Plumbing when they need a plumber. We have the highest quality of work in the area. We take pride in the fact that we are fast and reliable, getting the job done right the first time. UNLIMITED PLUMBING OFFERS YOU PEACE-OF-MIND. Unlimited Plumbing will never charge extra for Nights, Weekends, and Holiday Emergency Services and Repairs. We understand how much stress a homeowner can have when your house is not working like it should. Unlimited Plumbing is available 24-hours a day, 7-days a week, 365 days a year. People who live in Apex have a variety of plumbers to choose from. However, Unlimited Plumbing is your premier Raleigh plumbing company. We promise your satisfaction 100%. Call us today if you need immediate assistance or just a simple repair (919) 300-0092. Because we offer free estimates, you will know up front exactly how much your repair is going to be.